Home | INSPIRATIONS | See you at Cersaie! 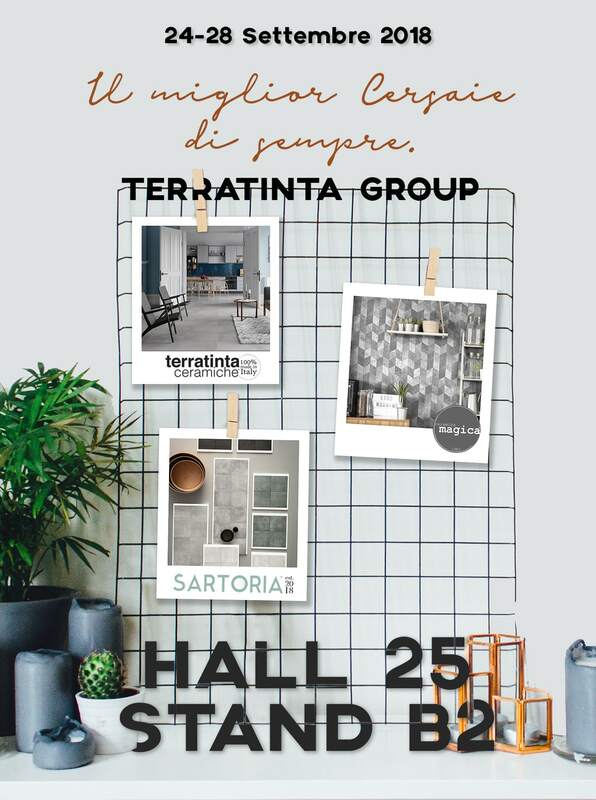 From the 24th to the 28th of September, Terratinta Group will be attending Cersaie, the foremost international event within ceramic industry. Thanks to the three brands Terratinta, Sartoria and Magica, this 2018 edition will be the most important and biggest one ever, ready to present to distributors, professionals, architects and designers several new collections and inspirations. The appointment is at Hall 25, Stand B2.